A few pictures to show you the big snow we got at our home. Hurry home Dear....... Your supper is getting cold!! 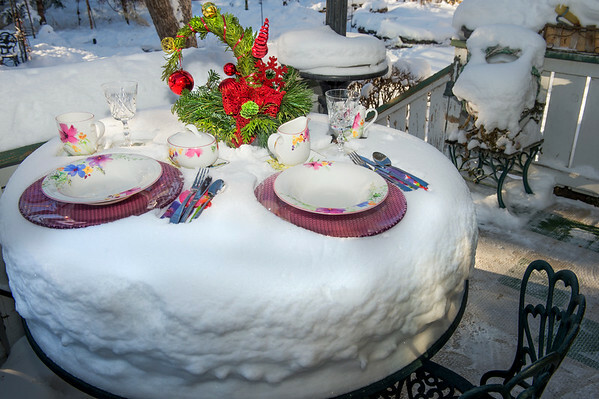 Set up the patio table for supper but had a problem with the weather.